Love him or hate him, you must admit this mask is pretty funny. An ideal gift for all Donald Trump Haters. They Live thrilled audiences in 1988 and now in 2016, They Live is more timely than ever. With the upcoming 2016 election on the horizon, one must question if, just like in They Live, the Presidential candidates are in fact Aliens supporting the elite class. 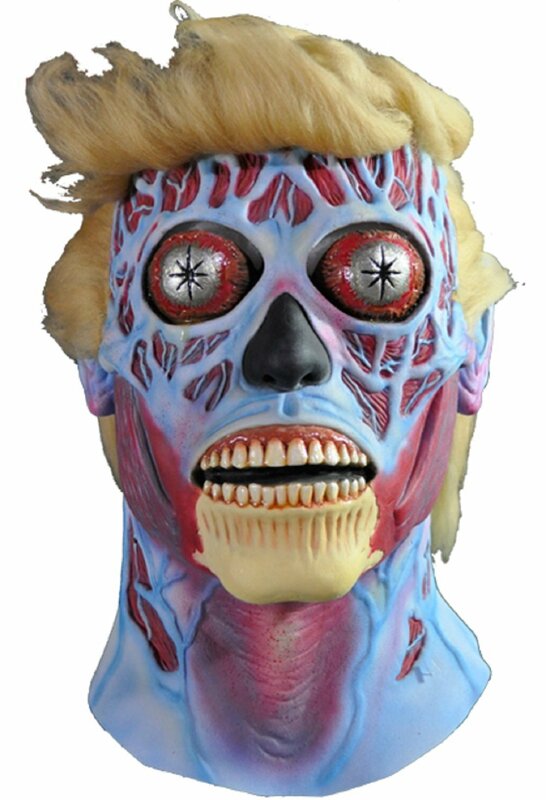 Now you can get the first in a very limited collection of They Live Alien Masks made to look like the President Donald Trump.